A counterfeit British bank note produced by Jewish forced laborers employed in Operation Bernhard at the Sachsenhausen concentration camp. 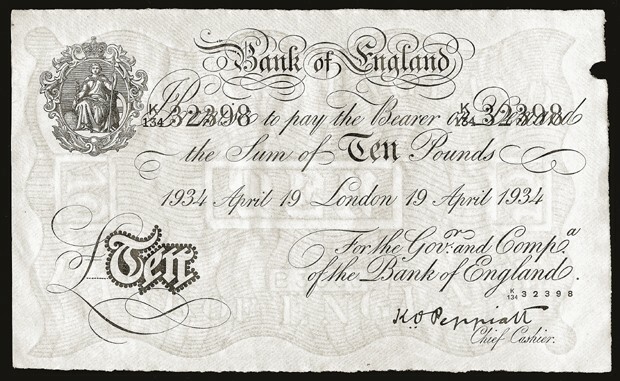 Under an order issued by SS chief Heinrich Himmler in 1942, Operation Bernhard initially aimed to produce large quantities of counterfeit British bank notes. The goal was to flood the British currency market and trigger a financial crisis.